Recreation Get-Away! Very private Cottage on Shuswap Lake. Road accessable 5 km. west of Sicamous. No utilities. (no power in sub-div). Wood stove. Septic will need to be installed for any expansion to Cottage, which is where the true value lies with this semi-lakeshore lot. 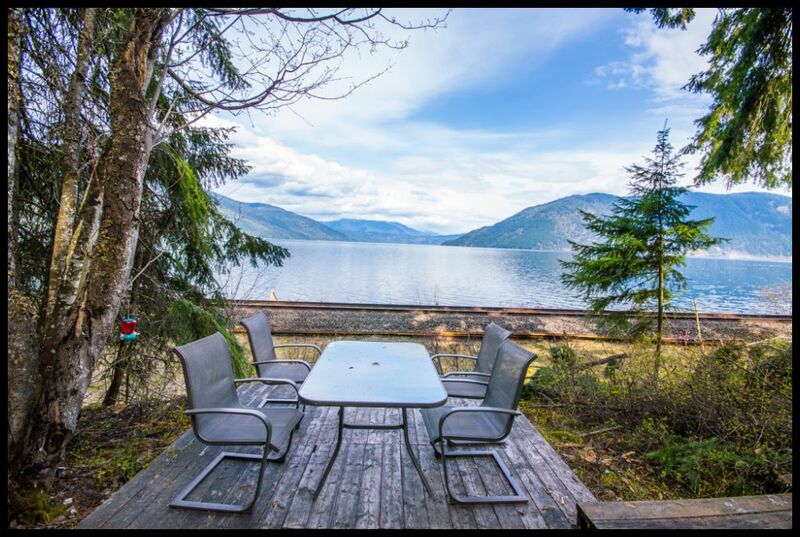 Enjoy this very private, rare piece of the Shuswap Lake that is steps from the beach & includes your own boat buoy! CPR Train tracks run between property and beach. The cabin is a log panobode style 19'x19' open one room with a wood burning stove & lakeside deck.